I'm sat here writing this post on the balcony in the Alps - it's September and as soon as the sun drops beneath the Mont Joly ridge I'll need a jacket - Autumn seems to have taken hold. 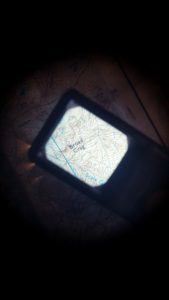 And so my thoughts turn to Night Nav - some of the most popular sessions I run in the UK. 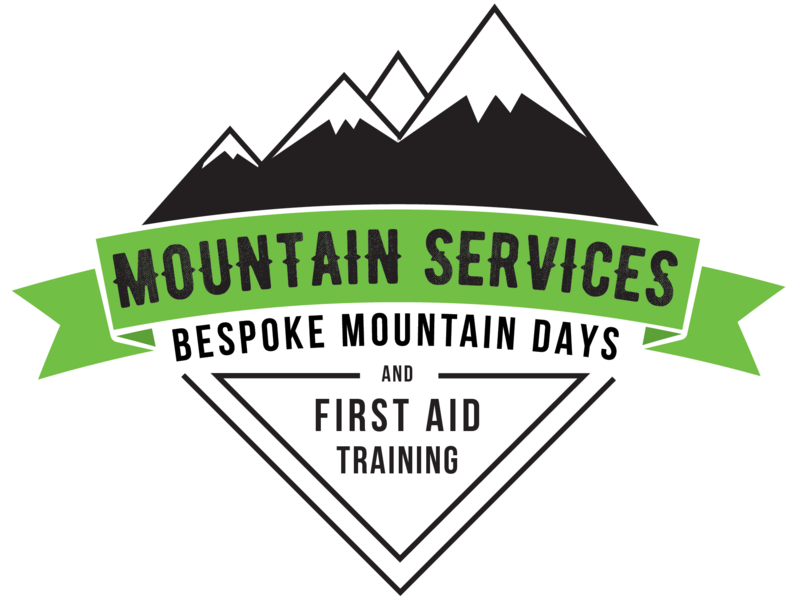 It's a skill that seems to cause stress to a lot of candidates - and one of the most common reasons for deferral if you're doing a mountain leader course. #1 -Know your kit - now this may seem simple or obvious - but I would estimate that half the people who come on my sessions aren't really all that familiar with their kit, don't have a system in place and cause their own problems. Can you see your compass at night? Does the luminescence work - can you turn the dial without having to take your gloves off? Can you actually see at night - many folk will find that their vision is poorer at night - I've invested all of £6 in an illuminated magnifying glass - its made a world of difference to my precision navigation - I've even attached a cut up piece of old chamois leather to its lanyard - no more fogged specs for me. Another useful piece of kit I've seen a client using are Nooz - super compact plastic reading glasses without arms that come in a handy tiny case. Do you know what to wear at night? I know this may seem obvious - but at night you'll be slower and won't generate as much heat - you'll feel the cold a lot quicker - it could be time for another spare layer in your rucksack. And then...have a system for all of this. Know where things go in the pack so that you find then first time. Put the things you need easily to hand. I keep a spare compass, spare torch, hat and gloves in the top of my sack - somewhere I can always find them in the dark. 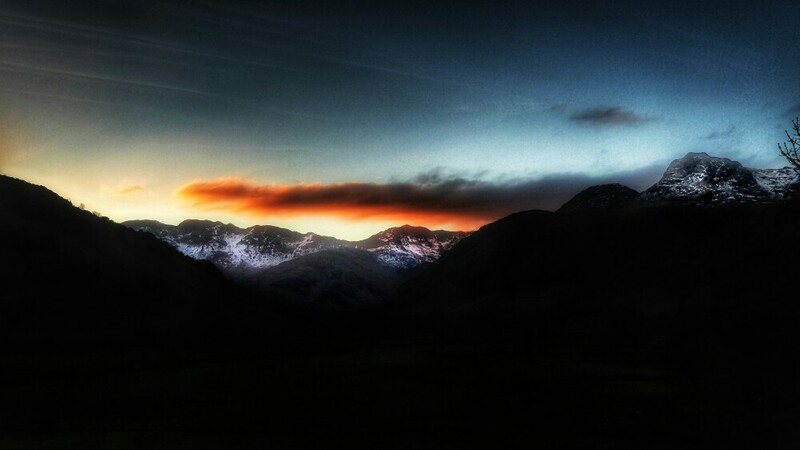 I set off in the gloaming with my torch in a jacket pocket - so I don't need to stop for more kit faff later. 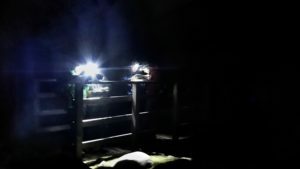 Start out on normal ground in the dark - you may well be very close to daytime numbers if the visibility is good - but then move onto uneven ground. 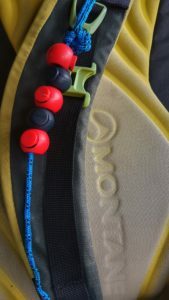 Now you'll feel a need to look where you are going more carefully - simply walking will be a more engaging process and your step count (& timings) will alter. Next you can add in steep ground, maybe some adverse weather. It's also worth noting that many mountain walkers don't add time for going downhill - you may well find that you need to in the dark. Get your bearing right. 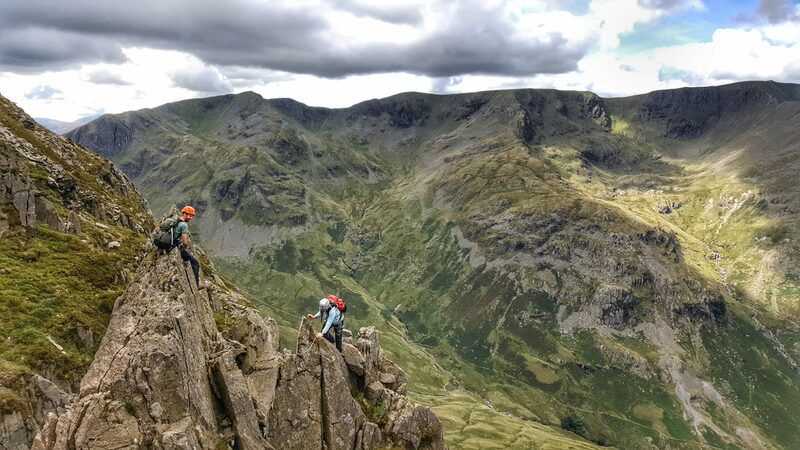 If you're starting from a strong feature it's worth taking a back bearing whilst it's still visible - or you can do this with a group member. I still kneel down and take my time on a bearing - because it's worth it. #4 Feel your Feet. Contours are your friend in the dark - being able to feel the change of angle of a slope - where it steepens, lessens, levels out. Which way an incline runs - things we're used to being able to see in the daylight, these all become more difficult to see at night - but with experience you can learn to feel them. If you can master this then it''s another strong tool. And I also use this term for how the going feels. I think we are (or should be) familiar with what 'feels' normal for us - so am I going at my usual pace? Does this 'feel' steeper than I expected? #5 Have a strategy. Now clearly this should apply to all of your navigation - but at night it's vital. I said above I like to break legs down - what I'm trying to do is make them easier. So sure I could pace 1200m on a bearing, but its a lot easier to walk 900m in an approximate direction, hit a wall, follow it North for 300m till it reaches a stream and then take a bearing and pace the last 150m. Sure I've walked a bit further - but my strategy has made the experience less stressful, has hugely increased my chances of being accurate, and will almost certainly have actually been quicker. And of course - sometimes you simply can't pace 1200m on a bearing - so you need to have a strategy for what happens then. We'll often do drills where we go to the same place by different strategies - and when you're learning it's a great question to ask yourself; "how else could this be done?" To have a strategy you need tools you can rely on - but you often don't need many, and they don't all need to be super accurate, they're just part of the process of narrowing down your aim. If you found this post useful then please comment or you can find details of Night Nav workshops in the link below.